AcidTrip is an aspiring artist & activist from Charlotte NC Who makes “Ascension Music” a term he coined for his versatile sound. He's been recognized by Sway Calloway and worked with mick Jenkins and Pro eras Chuck Strangers. He has been touring the East coast and the south and recently came back from New Orleans San Diego San Francisco Washington DC Brooklyn and Las Vegas. He even rocked a sold out show in between Joey Bada$$ Amerikkkana Tour In North Carolina.His music is described as Euphoric and introspective. AcidTrip has also been featured by Gary Ryan of rolling stone magazine, thisis50 & been reckognized by emerging indie of the U.K. He wants to inspire change and grow with his music. He is dedicated and definitely earned all the numerous blogs including hnhh who have featured his different and creative style of music multiple times. He released 4 projects in 2017 & his debut album in 2018. He recently released his 7th Project And Debut Album with no features 1/6/19 On All Platforms. AcidTrip is a dedicated artist who stands for redemption, change & progression while never forgetting where he came from. AcidTrip seems to never stop working as he recently released his new album “The Electric Enigma” January 11th 2019 with no features. 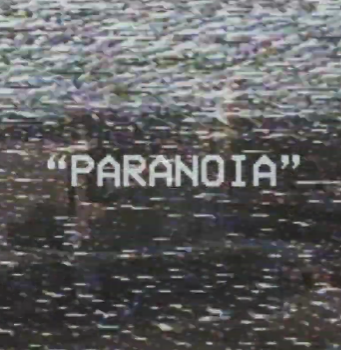 He returns with the first Visual for the project for the song “Paranoia” Produced By origamibeats. This video embodies a Cinematic experience designed to stimulate the mind and depict a paranoid state. This video was directed by Sheeraz Balushi and has a subtle storyline that features Joel Venom & Willie Contraband as cameos. The song itself has a divergent sound and AcidTrip delivers a lyrically intense and euphoric performance. This video is a paragon of dedication, talent, and passion. Expect more to come from AcidTrip. The Electric Enigma is now Streaming On All Platforms.